Holy cow, what a beautiful reissue. Didn't even realize the Gray Matter stuff was back in-print until a stumbled across it in my local record store. Just as great and fresh as I remember it. Another in a long line of cases of Dischord keeping great stuff out there! 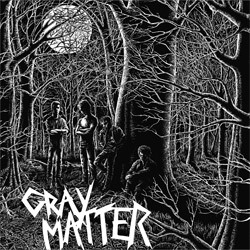 Food For Thought is Gray Matter's first album, originally released on R&B Records in 1985 and later re-issued on Dischord. These songs are also available on a Maxi CD (DIS49) together with songs from the Take It Back EP. This 12" LP was re-cut and re-issued with a free MP3 download in October 2009.